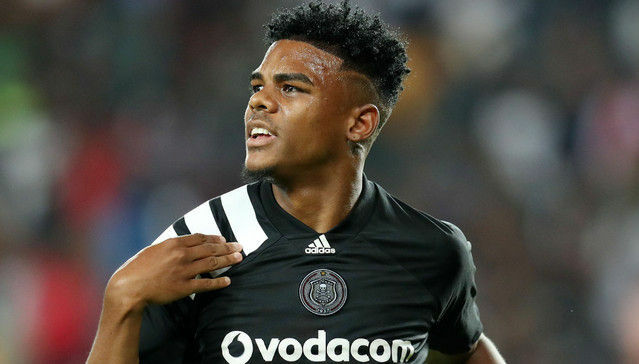 Lyle Foster,Orlando Pirates striker says he is looking forward to working with Arsenal legend and current manager of French Ligue 1 club Monaco, Thierry Henry. I am still an Orlando Pirates player, but it’s God’s will and I just have to follow it. I think anyone would look forward to work with him [Henry]. He was a top striker and now he is a top coach, so I can’t wait to learn from him. But I am still at Orlando Pirates and I don’t want to think about that too much,” Foster says. Foster has been with the Buccaneers since the age of 12 and has come through the ranks at the club, making a huge mark as a development player. The striker is hoping to get an opportunity to play for the first team again before he leaves for France. Foster played in the Future Champions Gauteng tournament in 2017 scoring 3 goals.